ln a sweep across Europe in 70 days, covering 16 countries, it’s interesting to look at both how much people have to pay for food essentials as well as how much choice they have in where to go to buy their groceries compared to Australians. In Australia retail distribution is dominated by two major players who between them account for 70% of all grocery sold in Australia. No such food monopolies exist in Europe. The introduction of Aldi has given the Australian duopolies a bit of a shake and the imminent arrival of Lidl – started by the brother of the Aldi founder – will further add pressure on Woolworths and Coles to compete for customer retention as well act in the interests of consumers by lowering their retail prices. How does the present situation impact on the average consumer? By their own admission, Woolworths have failed to meet the needs of so-called ‘struggling families’. That’s why Aldi has been so popular with low-income groups as well as values-driven purchasers protesting against the current duopoly’s stranglehold on food retailing. Both Woolies and Coles have been found guilty of price gouging and what the Trade Practices Act calls ‘abuse of market power’ and ‘unconscionable conduct’, both of which are illegal under the Act. But no government or regulator is brave enough to act on these aspects of the legislation. In practical terms both Aldi and Lidl are substantially cheaper across all commodity items they sell. As an example, we went out to buy breakfast yesterday to the local Lidl in Trieste, Italy. We bought a dozen eggs –free range – a baguette, a bag of tomatoes, a wholemeal loaf, and a fresh Danish pastry. Total cost? 4.51 Euro – about $6.20. Could you buy the organic eggs alone for that in Coles/Woolies? We doubt it. In terms of consolidation, the Swiss come closest to Australia, with Migros and Coop (we call it Co-op which is what it means) with 35% and 23% respectively. In Austria, Rewe International and Spar have 28% each, while in Ireland no one company has a dominant or significant share. In U.K.- on which the Australian market is supposedly based – Tesco has 32%, Sainsbury 16.2%, Morrisons (which owns Safeway)11.2% and Asda 17.1%. Here in Italy, Coop has 10%, Conad 9% and Selex 6%. 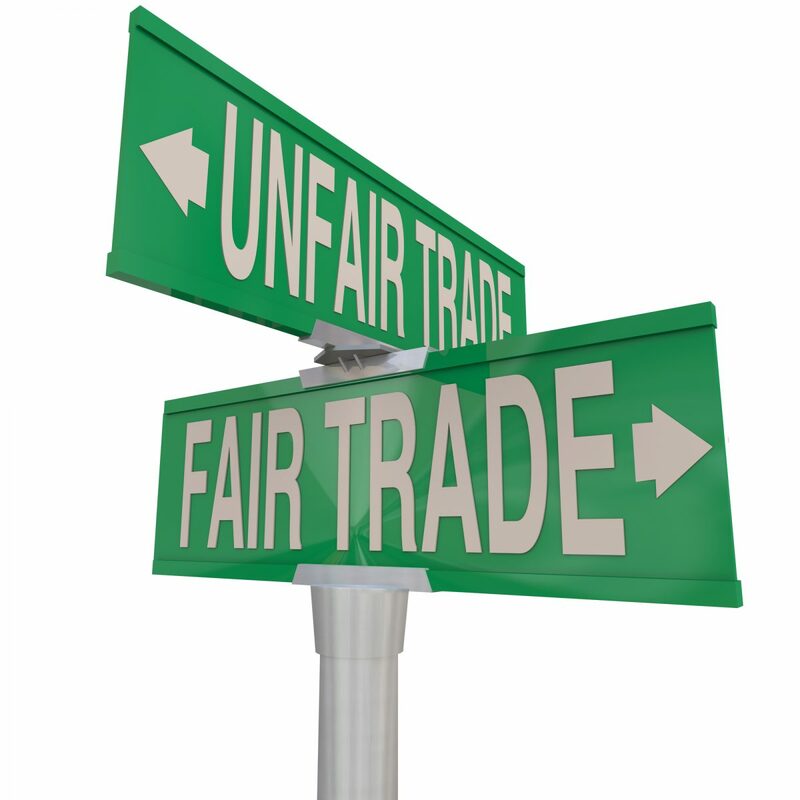 In UK, Office of Fair Trading and The Competition Commission regularly monitor the actions of retailers. There have been two major Enquiries, in 2000 and 2006; the first led to the establishment of a Code of Practice between retailers and suppliers and the second, while concluding that although broadly retailers were delivering a good deal for consumers, they needed to improve competition in local markets and address relationships between retailers and suppliers. One of the recommendations of the later Enquiry was the strengthening of the Code of Practice to be enforced by an independent ombudsman. There are also calls from the farmers to instigate a consumer Charter. Australia’s recent announcement that the 3 major food retailers have signed a Code of Conduct – endorsed by the Minister for Small Business – 10 years after the UK and with no real visibility as to its content, seems both little and late in terms of driving reform or enhancing competition. More importantly, there is no independent overseeing body and no sanctions for breaches. In the 10 years since the UK Code of Practice was introduced, suppliers complain that there has been no significant improvement in relationships with the 4 majors. The emergence of Aldi as a viable threat to Woolworths and Coles has no doubt prompted this new development. One could argue cynically that it’s at one level a crude attempt to bring them into the tent by the two majors now competing against a really low-cost option for Australian household budgets. As a general rule, Codes of Conduct are developed as an internal document that sets out the intent of the company in its dealings with employees; charters of business conduct or codes of practice deal with relationships with external stakeholders. They are developed in consultation with stakeholders to ensure a fair and equitable relationship develops. In the final analysis, policies and Codes merely signal intent; it is behaviour that determines ethical standards. Let’s see what behaviour change on the part of Woolies and Coles emerges before we assess whether the Code has any merit.